A convenient pickup from downtown Coron will take you safely to the start of your adventure! Treat yourself to a day of fun in the sun and even some exploration of World War II artifacts with this one day tour of Coron's reefs and wrecks! 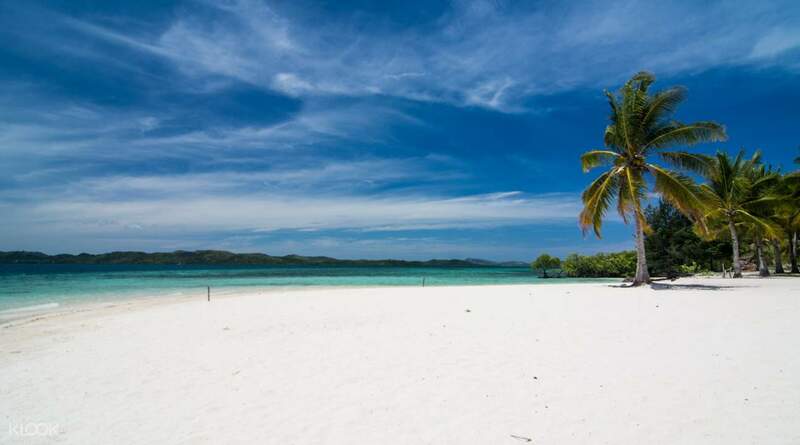 The tour begins with a stop at Bulog Dos Island, where you'll enjoy walking on the sand bar and the gorgeous tropical views in the island's surroundings, which includes a view of the most expensive and exclusive resort in Coron. You'll then make your way to Pass Island, a totally serene island with powdery sand and crystal clear waters that invite you right in for a refreshing noontime dive, including a protected reef teeming with life! Enjoy a delicious picnic lunch on its quiet sands to reenergize yourself right before you trek to a vantage point atop the island for a stunning 360 degree view of the whole island. The trip ends with a visit to Lusong Coral Garden and Lusong Gunboat for some snorkeling - this place is filled with so many colorful reefs and fishes, and even a sunken warship! This is a perfect way to explore Coron's quieter attractions as well as indulge your adventurous side! Enjoy a delicious picnic lunch in Pass Island, a gorgeous island with powdery sand and clear waters! Snorkeling in the crystal clear waters of Coron is an easy feat, especially with the gear included in the tour! It's quite far compare to the other spots that's why was not so crowdy, what actually I prefer. We had three stops (in itinerary were written four). Wreck itself is more interesting for scuda divers I guess but coral garden is very nice. I would stay there even a bit longer than 40min. Pass island as the last stop was nice, not many people, we stayed there for 2 hrs but nothing that much impressive like on tour C. It's quite far compare to the other spots that's why was not so crowdy, what actually I prefer. We had three stops (in itinerary were written four). Wreck itself is more interesting for scuda divers I guess but coral garden is very nice. I would stay there even a bit longer than 40min. Pass island as the last stop was nice, not many people, we stayed there for 2 hrs but nothing that much impressive like on tour C.
The tour was good though the tour guide didn't talk much. We explored by ourselves! Haha. The food was good. We enjoyed snorkeling and swimming with the fishes. The tour was good though the tour guide didn't talk much. We explored by ourselves! Haha. The food was good. We enjoyed snorkeling and swimming with the fishes. The staff/tour guides were really accommodating and made sure of our safety during the trip. There were 4 of us and luckily, the boat is exclusive to our group. The lunch they served were like good for 12 people so we were really stuffed. This is a very good deal. The staff/tour guides were really accommodating and made sure of our safety during the trip. There were 4 of us and luckily, the boat is exclusive to our group. The lunch they served were like good for 12 people so we were really stuffed. This is a very good deal. If you loved the Coron Island Tour because of the clear waters and the marine life, you'll even love this tour more. 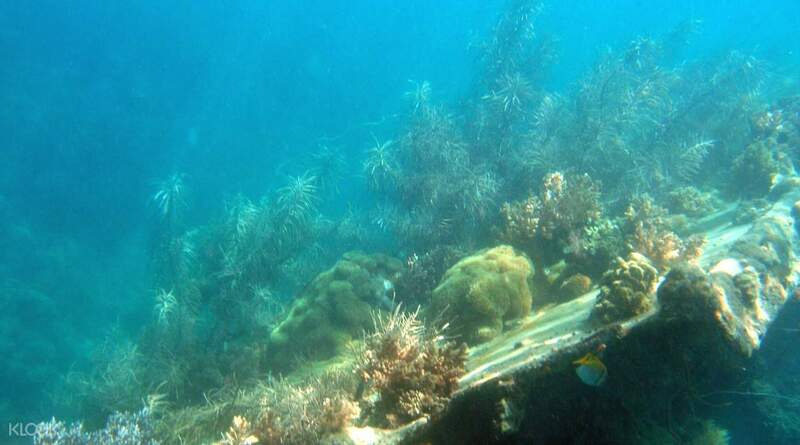 Reef & wrecks are worthy of your time and money when in Coron. If you loved the Coron Island Tour because of the clear waters and the marine life, you'll even love this tour more. Reef & wrecks are worthy of your time and money when in Coron. We left the port really late. There are 16 passengers and there’s not really a lot of space to move to in the boat knowing that the stops took about 1 and a half hour in between. 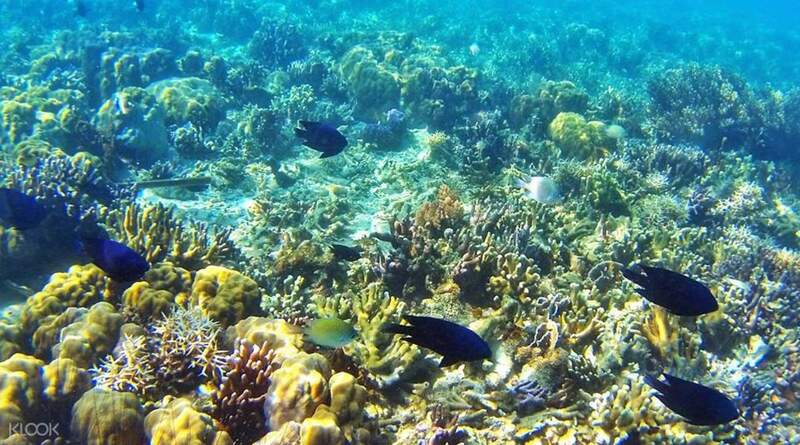 The tour spots are really good for snorkeling and free diving. However my only bad feedback is that the life vests that they make us use are old and damaged and of large sizes. We asked the guide for a different vest that would fit us as we don’t know how to swim, he’s only comment was “Maam/Sir you only need to wear the vest anyway to show the coast guard that you are wearing it when we leave the port”. And so we did not feel comfortable or secured about going into the water due to the size and damaged life vests. I hope they would have the initiative to replace the vests every now and then. That’s definitely why it’s called a life guard anyway. The guide was good with assisting us knowing there’s only 1 of him and 16 of us. It’s just how he undermined the purpose of the vests. We left the port really late. There are 16 passengers and there’s not really a lot of space to move to in the boat knowing that the stops took about 1 and a half hour in between. The tour spots are really good for snorkeling and free diving. However my only bad feedback is that the life vests that they make us use are old and damaged and of large sizes. We asked the guide for a different vest that would fit us as we don’t know how to swim, he’s only comment was “Maam/Sir you only need to wear the vest anyway to show the coast guard that you are wearing it when we leave the port”. And so we did not feel comfortable or secured about going into the water due to the size and damaged life vests. I hope they would have the initiative to replace the vests every now and then. That’s definitely why it’s called a life guard anyway. The guide was good with assisting us knowing there’s only 1 of him and 16 of us. It’s just how he undermined the purpose of the vests. The tour agency given to me wasn't the actual tour agency that handled my tour. I was given to a different tour agency. I earlier complained about the difference in pickup times and so i guess they only improved it 5 days afterwards. Klook will really have to look into the capacity of their partnered tour agencies. A minor problem that I had was that tour agency that handled my tour didn't know about all of my package inclusions. The tour agency given to me wasn't the actual tour agency that handled my tour. I was given to a different tour agency. I earlier complained about the difference in pickup times and so i guess they only improved it 5 days afterwards. Klook will really have to look into the capacity of their partnered tour agencies. A minor problem that I had was that tour agency that handled my tour didn't know about all of my package inclusions. Hassle free tour. The place was amazing! It was fun and we did a lot of picture taking. Thanks Klook! Hassle free tour. The place was amazing! It was fun and we did a lot of picture taking. Thanks Klook!